He’ll speak to Temple students in Tomlinson Theater following the ceremony. Tickets are available now to join the Temple University School of Media and Communication as it honors Anderson Cooper Oct. 18 at the Lew Klein Awards luncheon. Following the ceremony, the anchor of CNN’s Anderson Cooper 360° and host and executive producer of Anderson Live also will participate in a separate Q&A session with Temple students to offer an insider’s perspective on broadcasting and journalism in Tomlinson Theater. Cooper will be awarded the Excellence in the Media Award at the 12th annual Lew Klein Alumni in the Media Awards luncheon on Temple’s Main Campus. The event honors one top media professional, as well as several Temple alumni who have found success in the fields of media and communication. For the first time this year, the school is awarding a Rising Star Award to a graduate of the past 10 years. This honor goes to Jian Wang, ’08, vice director of the Daytime News Department for Sound of China, China National Radio.  Proceeds from the Lew Klein Awards support scholarships for School of Media and Communication students who wish to study abroad, perform internships or complete independent study projects. Approximately two dozen students receive the scholarship each year. Tickets to the luncheon are available through Oct. 8. Seating is limited. Visit sites.temple.edu/lkam for details. Temple students wishing to attend the Q&A session, “A Conversation with Anderson Cooper,” in Tomlinson Theater should plan to arrive early, as it will start promptly at 2 p.m. This is a free event for Temple students only. There will be no tickets provided. Seating is first come, first served.